There’s a lot of hype surrounding funnels these days. Marketers may convince you they’re all you need for success and while effective funnels fuel business growth, they’re not an end, all be all despite what they want you to believe. Your funnels shouldn’t replace your website although they can work powerfully with your website as a part of your digital strategy. 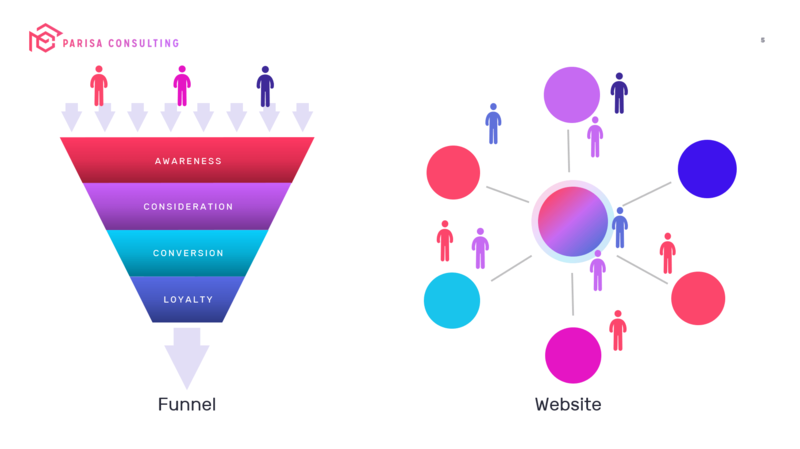 You’ve likely heard the term “funnel” before, but you may still not understand what it means and how it differs from a website. Consider the user’s journey. 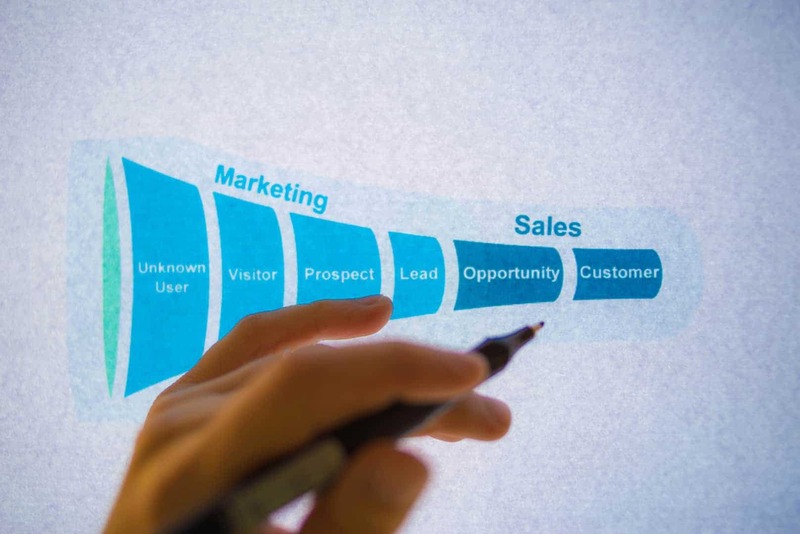 A funnel represents the series of steps a user takes from becoming aware of a product or service all the way to “converting” or becoming a paid customer, and eventually, a loyal customer and advocate. 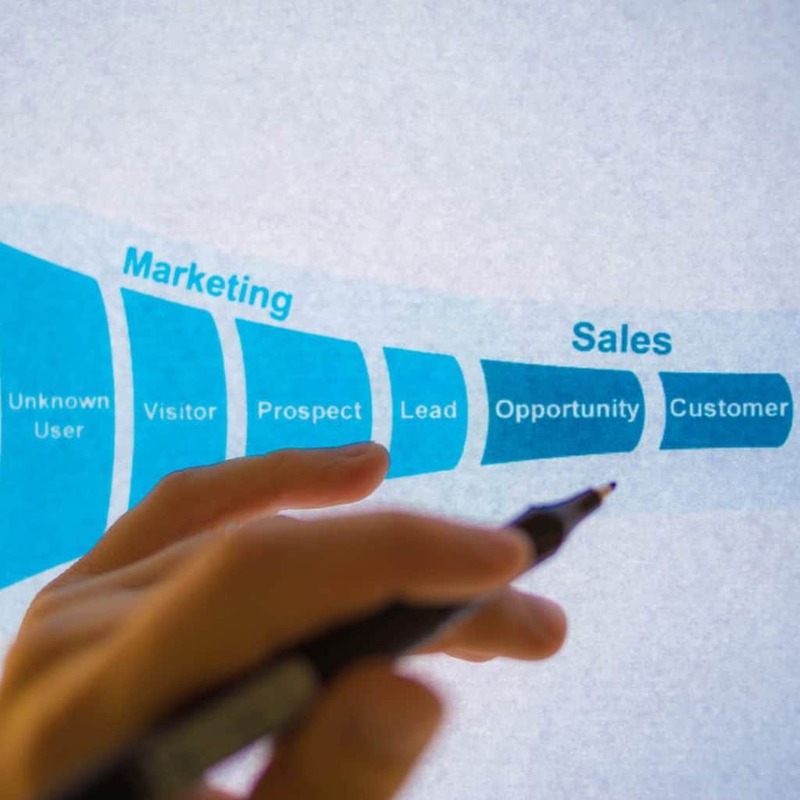 The funnel analogy works well because throughout all stages of your funnel, you may experience leaks (meaning, lost customers who fall off at any stage). The goal of conversion rate optimization is to fix the leaks in your funnel by increasing user engagement. Aren’t effective websites also like funnels? While effective web design is conversion and customer-focused, funnels offer greater specificity in terms of their goals and target audience. For example, this website is catered toward on a few user personas and a few strategic goals. A typical funnel would instead focus on a specific user persona or customer avatar and a specific conversion goal. 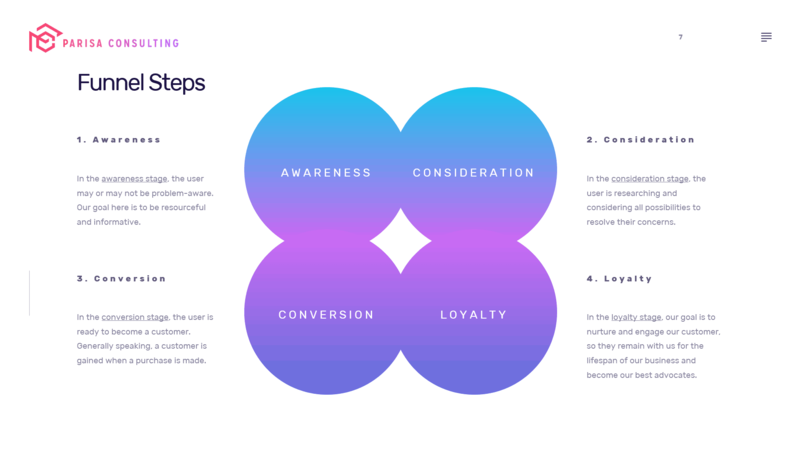 While you can traverse a website in a variety of ways, a funnel offers a defined path for users to follow leading the customer or prospect through all stages of the user’s journey from awareness to consideration, then conversion and eventually, loyalty and advocacy. What are the steps in a funnel? In the awareness stage, the user may or may not be problem-aware. Our goal here is to be resourceful and informative while helping them learn about their problem or concern. In the consideration stage, the user is researching and considering all possibilities to resolve their concerns. Our goal here is to help them understand why our offering is the best for their specific needs. In the loyalty stage, our goal is to nurture and engage our customer, so they remain with us for the lifespan of our business. We also want to focus on inspiring our customers to become loyal advocates of ours. After all, word of mouth is one of the most effective and least expensive forms of advertising! How can we enhance our funnels? The more relevant and specific your funnel is, the easier it’ll be to keep your customers engaged and inspire them to convert, so it’s essential you understand your customer before building out your funnel. What are their desires? What are their pain points? In what ways would your offer enhance their lives or businesses? Scarcity can also help inspire conversions, but I’m always an advocate for us to use this with integrity. False scarcity (which you may see frequently in the business space) may result in quick wins, but you’ll end up with a customer base that’s fatigued and frustrated once they catch onto your practices. Always consider the bigger picture when building your websites and funnels. Long-term and sustainable growth is infinitely more valuable than quick wins sparked by dishonest tactics. How do funnels and websites work together? Websites and funnels are perfect companions in the modern digital landscape. While websites may offer a variety of information geared toward different audience segments, funnels tend to be more and specific. In fact, many successful modern-day websites contain multiple funnels. For example, you can use your blog or pages to drive traffic to different funnels specific to your user’s topics of interest. Ultimately, it’s a matter of figuring out the best approach so your website and funnels complement one another. When done effectively, both websites and funnels can elevate your business or brand, making you an unstoppable force in the marketplace. I’m inspired. How do I get started with funnels? I’m creating a beginner-friendly WordPress funnel course I hope to launch by the end of the year. My goal is to make it informative, accessible and fun! I also plan on releasing funnel blueprints and templates, too! Visit PressFunnels and sign up to be notified of launch. TL; DR? Watch the video or read this. Many marketers may try to convince you that all you need is a funnel to thrive online. That's not exactly true. Your funnels shouldn't replace your website although they can work powerfully with your website as a part of your digital strategy. In a nutshell, while effective web design is conversion and customer-focused, funnels offer greater specificity in terms of their goals and target audience. They make the perfect companions when pursuing your digital strategy. Inspired? I'm offering a course, templates and blueprints to help you get started with building marketing funnels in the WordPress environment. Visit PressFunnels to learn more.